The holidays are upon us and you know what that means — it’s time for our 2017 gift guide! Even though I’ve been blogging since 2002, last year was the first time I ever published a gift guide. So this year I am publishing a new version, keeping lots of the classics but adding in some new items in several categories. Why? Because most bloggers’ gift guides are unrealistic, featuring items they don’t actually use, filled with high-ticket items that most people can’t afford. Sad but true. I love my blogger friends, but seriously — who has a thousand dollars to casually spend on a drone for someone?! Guys, we are all privileged as hell, but at the same time, I don’t expect you to spend thousands of dollars on gifts. Or hundreds, for that matter. Your trust is important to me, so I’m not going to push things on you that I know are out of reach for most people. So I decided to put together a list of things that I use, I love, and I think you would love, too. Nothing on this list is ostentatiously expensive. Maybe the Drunk Elephant products are pushing it, but all but a few items are under $100 and most are under $50. Nothing on this list is ugly. Looking good is important to me, and you’ll never find me in an ugly “travel hat” or zip-off pants (unless hiking). Please kill me if you ever catch me wearing hiking gear in Paris. Nothing on this list was thrown in for crap purposes. No filler here — I believe in every product on this list. Here are some of the latest things I’ve discovered this year that would make great gifts. Not surprisingly, a great many of them involve fitness, but all of them are excellent for travelers. 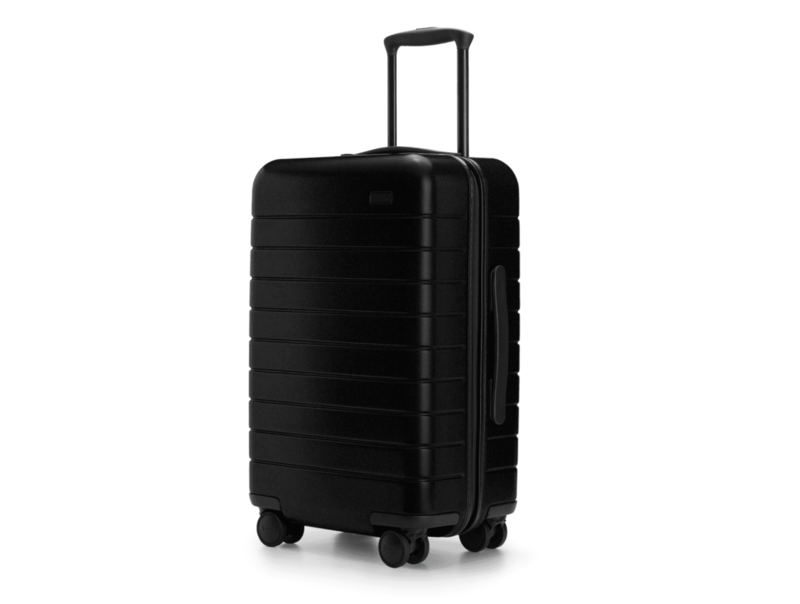 I received a complimentary “The Carry-On” Away luggage as part of the campaign I did with RXBAR earlier this year, with no obligation to write about it, but I fell in love with it, taking it to Philadelphia, Vail, and Tybee Island. This is my new absolute favorite carry-on bag and I highly recommend it. What makes this different? It’s designed beautifully and efficiently — it’s how I imagine the Japanese would design a carry-on bag. One side is designed for clothes, one for shoes and hard objects. It comes with a mini laundry bag so strong, it can hold a wet bathing suit without getting the rest of your clothes wet. It’s got a compression belt that lets you pack more into less space. The wheels rotate 360 degrees and it’s such a smooth ride. All that and it has a battery in it so you can charge your phone with your bag! Very helpful when you’re unexpectedly delayed. And if you buy more than one, they stack into each other so neatly that it won’t take up too much space, which is especially important if you live in an apartment. I foresee myself using this bag a lot in 2018. Cost: $225 on Away.com. Get $20 off your purchase with this link. I’ve been a huge fan of Speakeasy Travel Supply, the scarves with a secret pocket for your passport, and this year we started collaborating together! The first signature scarf we created sold out (! ), but the second, the Melbourne, still has plenty left! The Melbourne scarf is patterned in blue, white, and gray. I named it after Melbourne’s crazy four-seasons-in-one-day weather! It’s unusual enough to be a standout piece but neutral enough to work with lots of outfits. And it’s so soft and smooth. If I had to sleep on the ground somewhere, I would be wrapping my face in it. Not a fan of this style? Fear not — the Speakeasy scarves come in tons of different colors and fabrics, perfect for everything from the tropics to the Arctic. Cost: $55 each, with big discounts if you buy more than one. 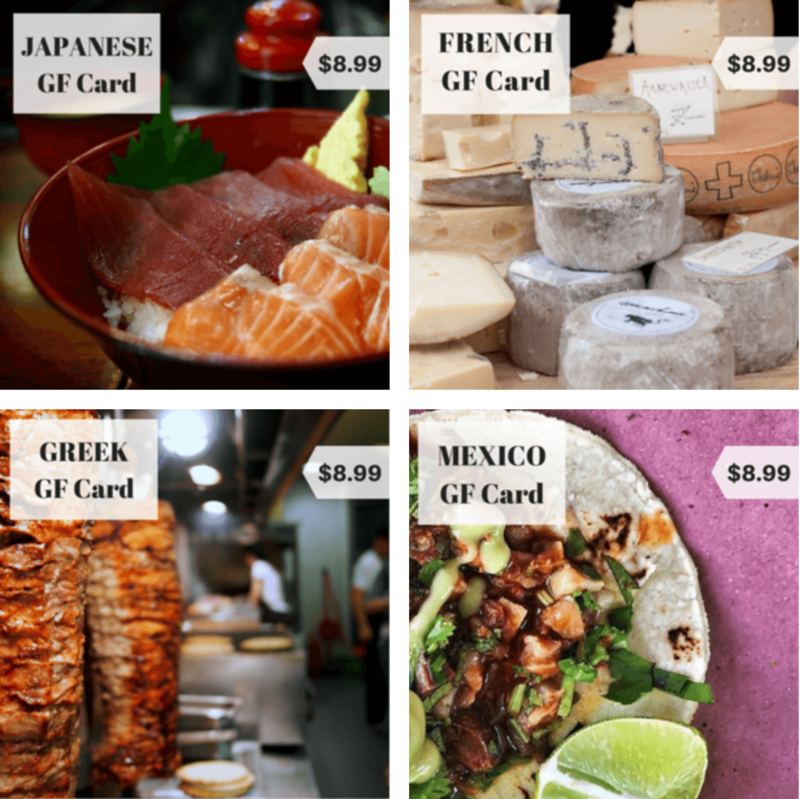 You may have seen other gluten free restaurant cards, and many are great for those following a GF diet. As a celiac who is extremely sensitive, I got sick using them. I very much appreciate the work and effort that went into the freely available cards — but sadly they were not enough. Researched by a celiac who loves to eat. Written with the traveler in mind. Use local dish names, based on what’s eaten in that country not just a translation. Clear mention of cross-contamination and contaminated oil. Double checked for accuracy with two translators familiar with food, who speak the local language. The cards are available in the local language for France, Greece, Morocco, Japan, Mexico, Vietnam, Italy, Portugal, Germany, and for Spain there are both Spanish and Catalan versions. 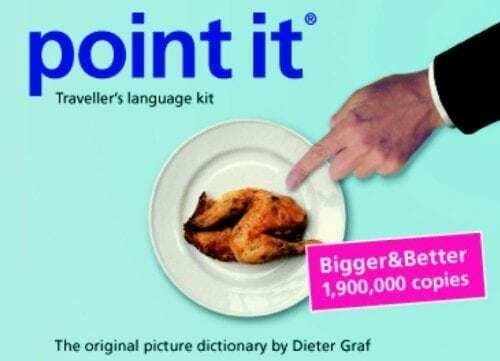 If you have a gluten-free traveler in your life, I can’t think of a more thoughtful gift. Cost: $8.99 per card on Legal Nomads. This was a birthday gift from my sister that I’ve been using more often since taking up running. 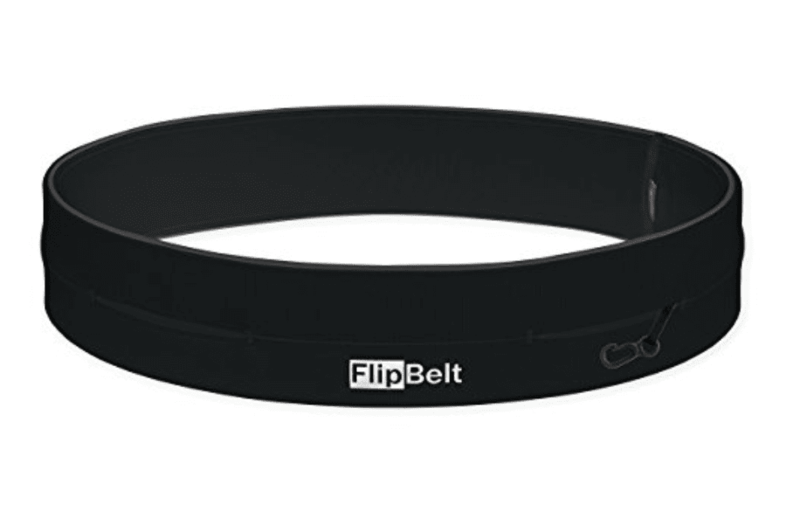 A FlipBelt is a comfy, stretchy belt you wear around your waist while working out. It has room for your phone, keys, and money while otherwise keeping your hands free. Working out on the road can be a challenge, but having a FlipBelt makes it easier to exercise outside without having to guard a purse or backpack. And the pocket is big enough to accommodate one of those giant wooden keys the guesthouse gives you! Probably the best way to reduce your waste is to bring a reusable water bottle on your travels. It eliminates you from buying single-use plastic bottles and most countries are not good about recycling. Even with recycling, we should reduce anyway. 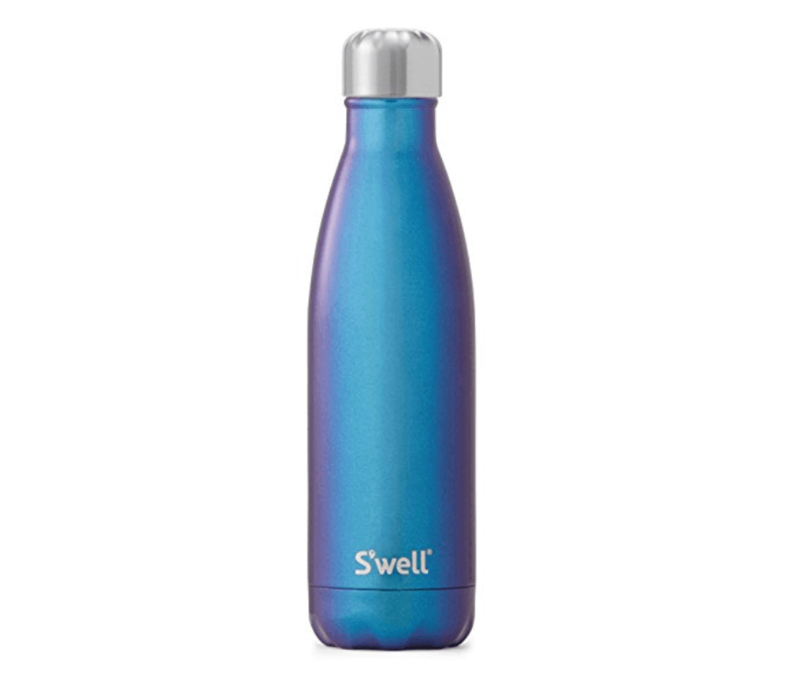 S’well water bottles are beautiful, well-crafted, and slim enough to fit into a bag. Mine is bright metallic blue but I love their wooden patterned bottles. So a water bottle is good, but what happens if you go to a country where you can’t drink the tap water? Enter the SteriPen. 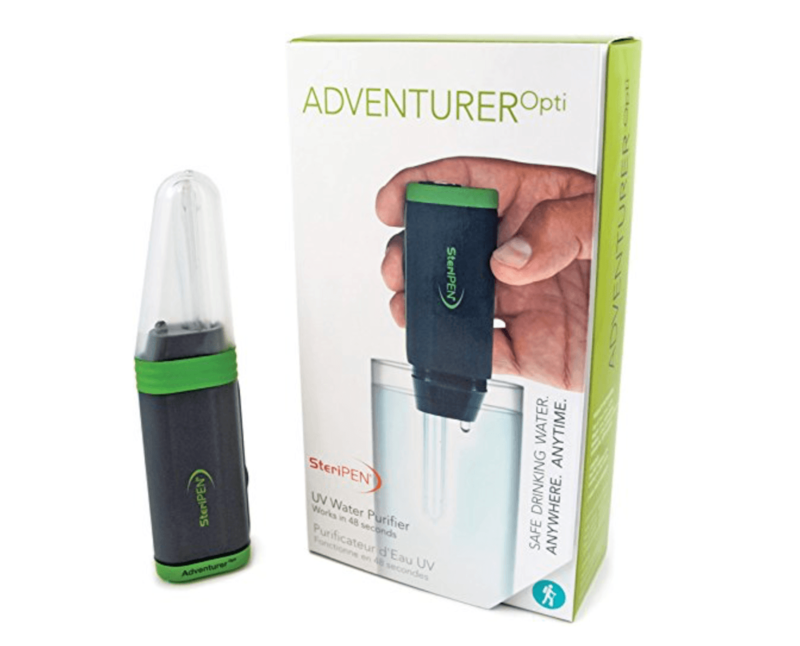 All you do is put it in a water bottle or cup, turn it on for less than a minute, and thanks to the UV light, the water is purified and safe to drink. I’ve heard of SteriPens forever but I didn’t buy one until this year. When I hit the road in the developing world again next year, you bet I’ll be bringing this with me! This year I wanted to update my boring, nearly-all-black wardrobe, so I tried out several shipments from the two big personal styling services: Trunk Club and Stitch Fix . Trunk Club was leaps and bounds better than Stitch Fix. Trunk Club is operated through Nordstrom. You are assigned a stylist who works with you every time. You tell your stylist about what you’re looking for, and she sends you ten pieces from which to choose. You veto the ones you don’t want and she replaces them. Then they get sent to you, you try them on, you keep what you like, and you send back the rest. As a result, I have my first romper ever (never thought I’d wear one, but there ya go! ), dresses in colors I would never choose on my own (bright melon and dark green), trendier items I’ve always avoided like off-the-shoulder tops, and when I wanted a pair of neutral fashion sneakers but didn’t want to do the work searching for them, my stylist sent me a few pairs, including a lovely pair of off-white leather Cole Haans that I kept. Stich Fix is very similar, with a styling fee of $20 rather than $25, but I found the quality of clothing to be much poorer when comparing to a similar price point to Trunk Club. If you spend $65 on a top from Stitch Fix, it will look like it came from H&M; if you spend $65 on a top from Trunk Club, it’s Nordstrom quality. Plus, Stitch Fix only sends you five items rather than ten, and the stylists are different every time. They do send you styling ideas, though, which is nice. Overall, I recommend Trunk Club, but if you’re curious, check out Stitch Fix too and see which service you like better. Cost: $25 per trunk and you can apply the $25 to any item you want to keep. Get $50 off your first purchase with this link. This is the year I decided to finally start being better about skincare, and part of that was starting to use Drunk Elephant products. Drunk Elephant skincare products are 100% cruelty-free. I’m a fan of the day and night serums: the C-Firma Day Serum and the TLC Framboos Glycolic Night Serum. The absolute best Drunk Elephant product I’ve used, however, is the Babyfacial — it’s a once-a-week mask. Leave it on for 20 minutes, wash it off, put on a few drops of Marula Oil and go to bed — and when you wake up your skin will be SO smooth it’s ridiculous. Yes, they are expensive, but they last for months and months (still going, eight months later) and they have made major difference on my adult acne and combination skin. I recommend trying out “The Littles” set, which includes a mini of every product except the Babyfacial for $80. Cost: $80 for the day serum, $90 for the night serum. I recommend buying on DermStore.com because it’s 20% off your first order. However, if you want the Babyfacial, you’ll need to buy it on DrunkElephant.com for $80. 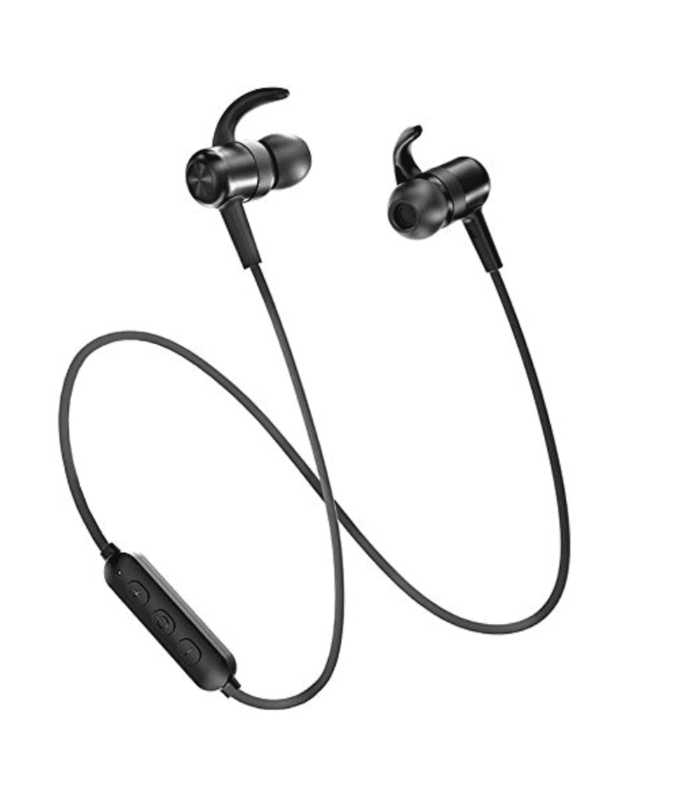 After going through several kinds of earbuds, I finally found my holy grail — a pair that lasts a long time and stays in your ears while at the gym, even if you sweat like crazy. It takes a bit of an adjustment to get used to charging your earbuds regularly, but you get used to it. I love not being connected to my phone. You don’t have to spend a ton of cash to give someone a meaningful gift that will help him or her on her travels. Here are a dozen great options. I know you’re thinking of that scene in Titanic. And it’s the truth. Boat engines sometimes fail, and sometimes you’ll need to send a signal through darkness. 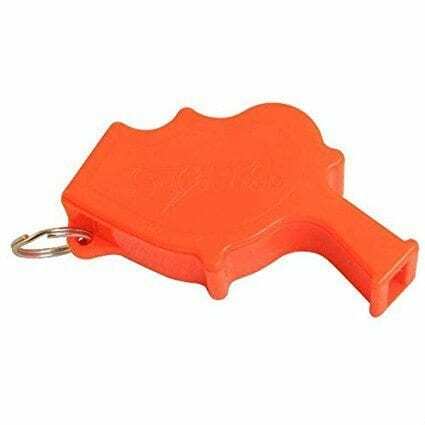 A whistle is cheap and useful. Above all, it attracts attention when you need it the most. This one in particular is LOUD. AS. HELL. You can’t beat it for that price. I love to try different kinds of tea while traveling — but the tea is almost always loose, not bagged. Most places don’t provide infusers, so you need to carry your own. Enter the Manatea. Not only is it an easy way to get my tea fix, it’s an adorable conversation piece! 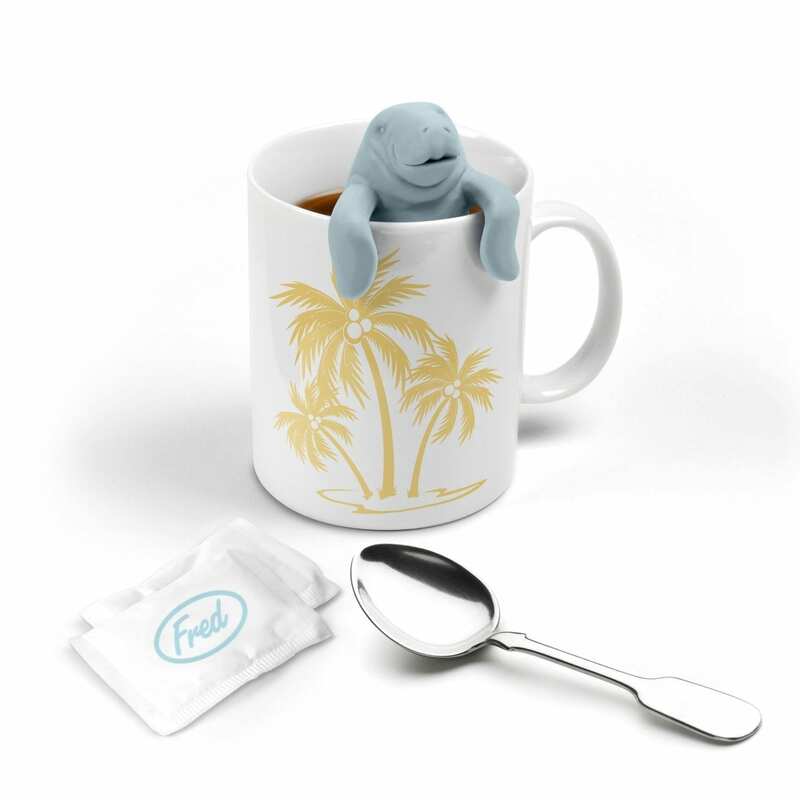 This company makes a few different animals (I may also own the sloth), but the Manatea’s shape is easiest to fill and clean. What happens when you have limited time and need to charge your phone, laptop, Kindle, and phone battery? 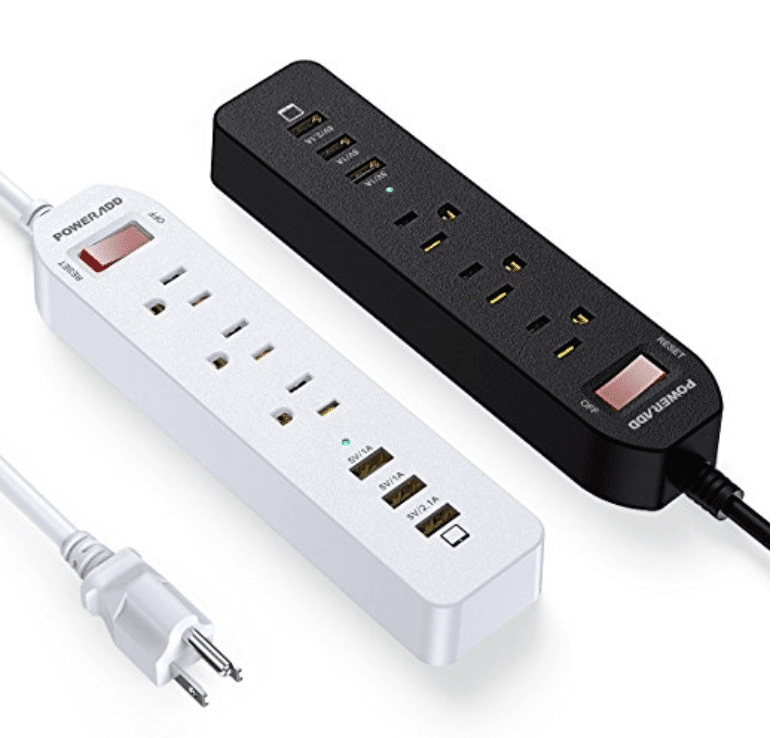 With a mini power strip, you can charge them all at once. You’ll also become everyone’s best friend when staying in a hostel dorm with only one outlet! Note: NOT all mini power strips are created equal. This one is good because 1) Its plug is attached to a long cord, rather than part of a block (block-style power strips often don’t fit if an outlet is next to furniture or a wall), 2) it has three outlets, which is the minimum you should have 3) it has an on/off button 4) it has USB slots. 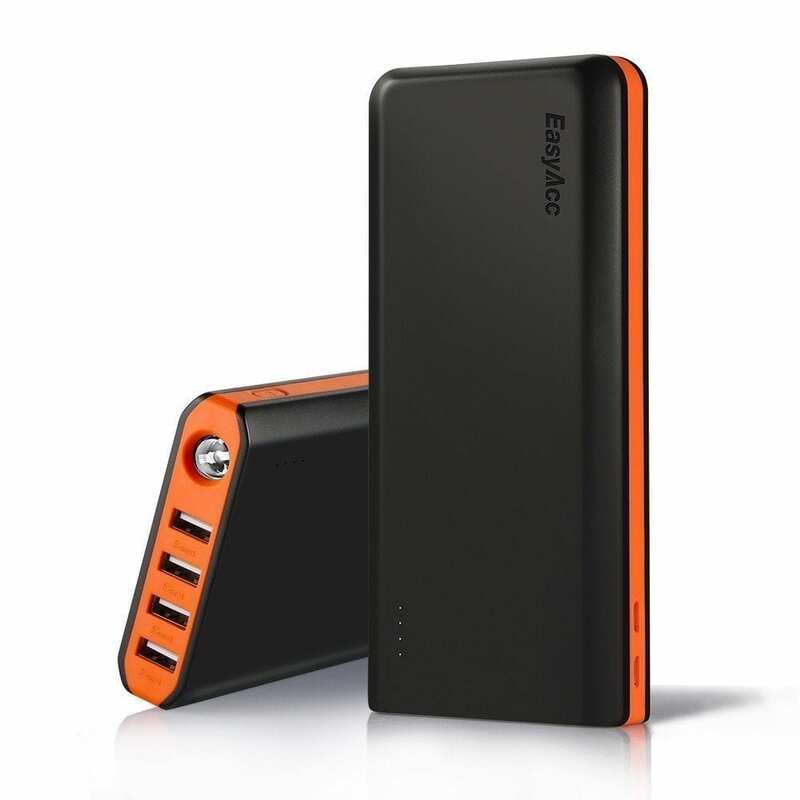 I travel with two portable power banks: a mini and a big one. I’m putting the mini in this section because it’s under $25. A mini power bank is essential for travelers — it fits into my purse for a night out (and if you don’t carry a purse, it fits easily in your pocket). I also consider it a safety device, as my phone lets me summon an Uber or call a cab if I’m in an uncomfortable situation. If you’re traveling with a friend or partner, you must bring a headphone splitter! But even if you’re traveling solo, you never know when you might meet a cool friend and want to watch a movie or listen to a podcast together while in transit. 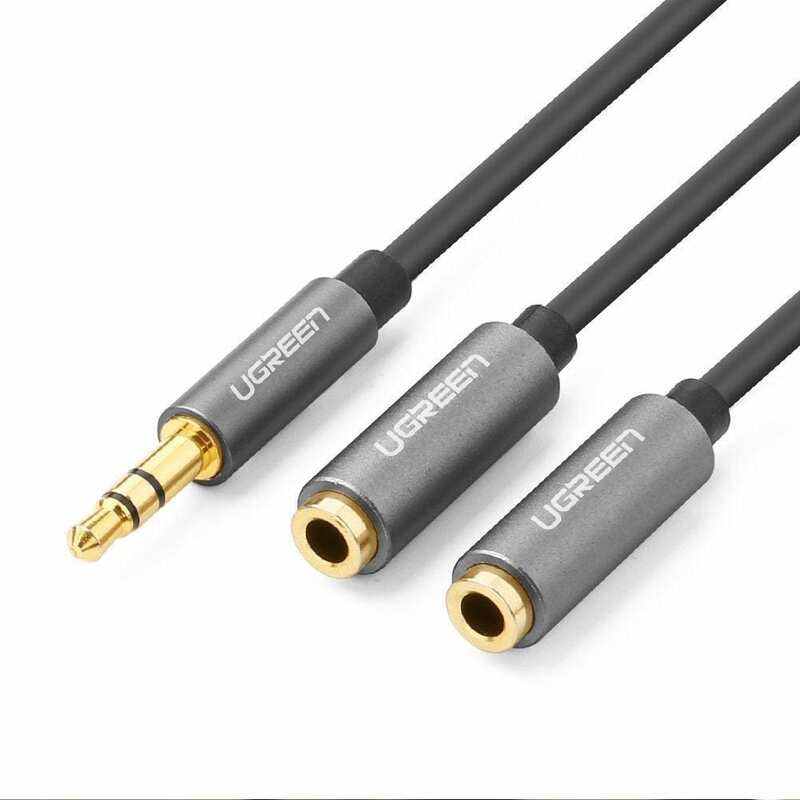 Headphone splitters are simple — you simply plug the end into your device and you suddenly have two headphone jacks. 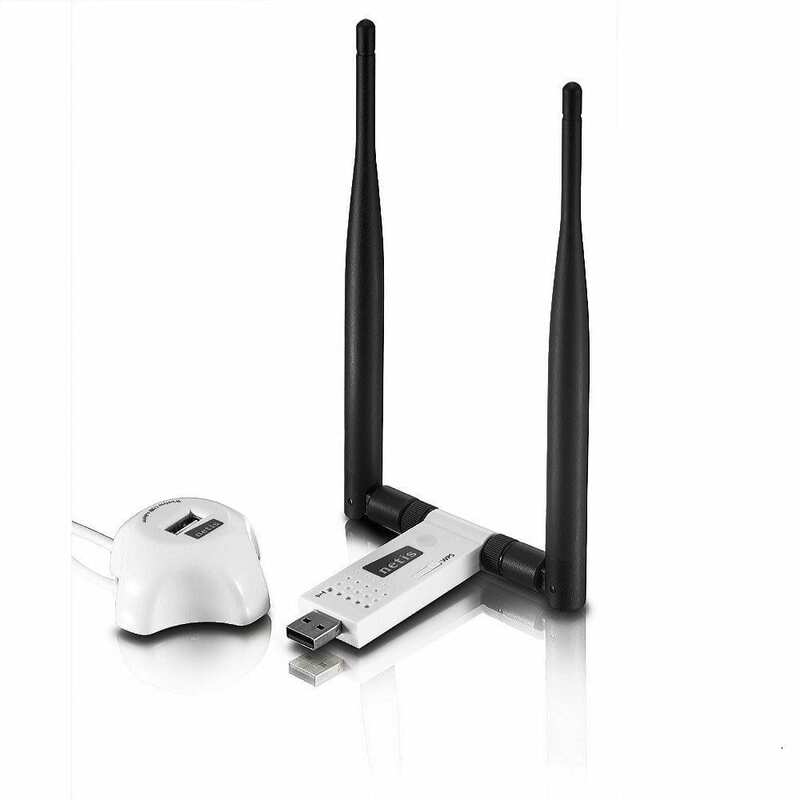 For that reason, a wifi extender helps you access wifi from further away. So maybe you can sit in the funky coffeeshop while accessing the much faster wifi from McDonald’s a few doors down. This Netis extender plugs right into your USB slot and is one of the better models on the market. What makes a good travel towel? It’s small, it’s light, it dries very quickly. I highly recommend getting one large enough to wrap around yourself; it will make your life a million times easier! This one is large enough to wrap, comes in a million colors, it’s anti-bacterial as well. BONUS: It comes with a separate hand towel, which is great for taking along with you on sweaty or athletic days. 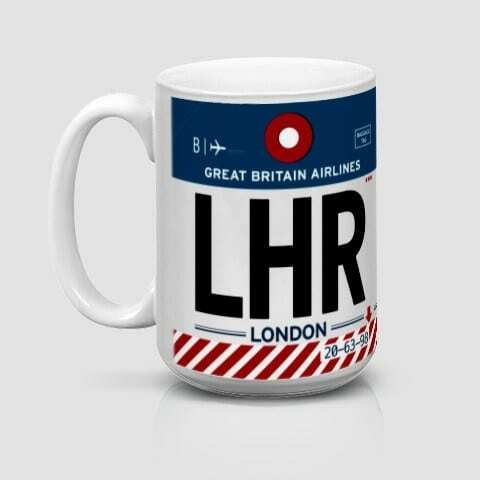 Airportag has a variety of airport-themed accessories for your home, as well as t-shirts. My personal favorites are the mugs and refrigerator magnets. I think these accessories work best when they’re a casual touch rather than the primary focus of the room. Good things come in small packages! Did you know that a Thai guesthouse once charged me extra because I got mascara on a pillowcase and they couldn’t get it out? Make sure this doesn’t happen to you! Believe me, the last thing you want to do when coming back to your hotel after a fun night out is a complicated skin routine — but sleeping in your makeup is bad for your skin. 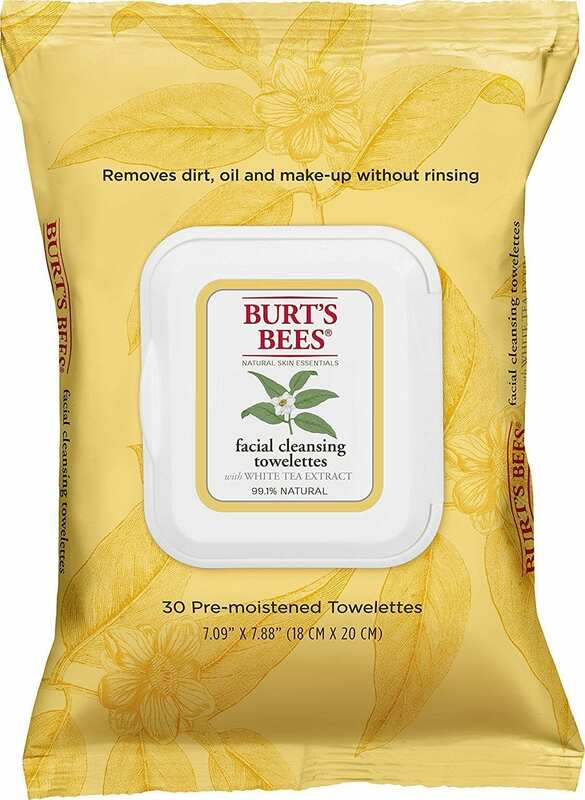 Facial cleansing towelettes are the way to go, and I love these ones from Burt’s Bees. They are good at getting mascara off and the white tea scent is delicious. If you can sleep with the cheapie eye masks that airlines give you, good for you! I find that I need something a little extra, however. This contoured sleep mask is much better — it’s soft, blocks more light, and isn’t as tight on your eyelids. Which I find helps me sleep better. Small padlocks are essential — they lock hostel lockers and your own bags. Being a blogger who specializes in solo female travel, I get a lot of questions about safety and try to integrate them into all of my posts. One of my top tips is to invest in quality gear that protects your belongings. This is something you shouldn’t scrimp on. At the same time, every item on this list is under $80. This is the #1 item that I recommend travelers buy. One of my proudest moments was when I was leading my first tour in Central America and I walked into the bathroom and saw three of these locked around the base of the sink! “You guys listened to me!” I said through tears. You fill this safe with your belongings, pull it shut, and lock it to the sturdiest thing in your room. Sometimes that’s the base of a sink; sometimes it’s a pipe or a large, heavy piece of furniture. This way you don’t have to carry your valuables with you everywhere you go, which also puts you at risk. 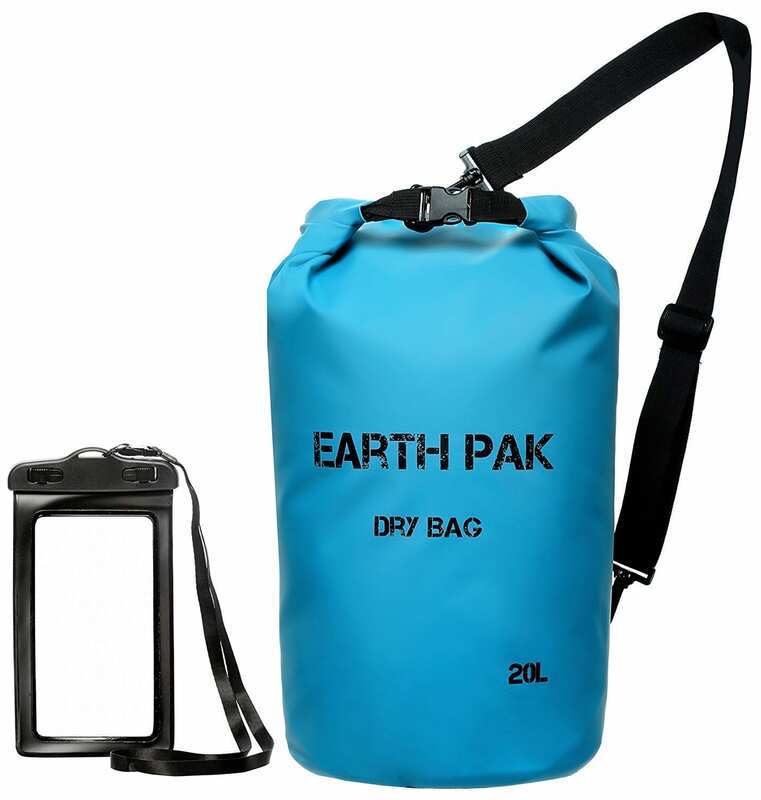 Dry bags are the other item that I recommend every traveler pack. When I was shipwrecked in Indonesia, I was able to rescue my phone, debit card, and point-and-shoot camera because I had a dry bag with me. Dry bags also protect my electronics when on crazy boat rides, like the panga ride to Little Corn Island that sprayed water everywhere. You need these. Even if you don’t plan on traveling by boat. These days I travel with two at all times: a small one (10 liters) and a large one that can fit my day bag (30 liters). And they come with a smartphone protector as well! Let me be honest: if it weren’t for my LifeProof, I would have destroyed my phone when I accidentally dropped it in a toilet in a remote part of South Africa. No, it’s not the sexiest looking case out there, but it is the absolute best phone case out there — one that will protect your phone as best as possible. You can even go swimming with it (but I wouldn’t recommend that). I don’t know what I would do without it (wait, I do know — I would pay constantly for screen repairs). 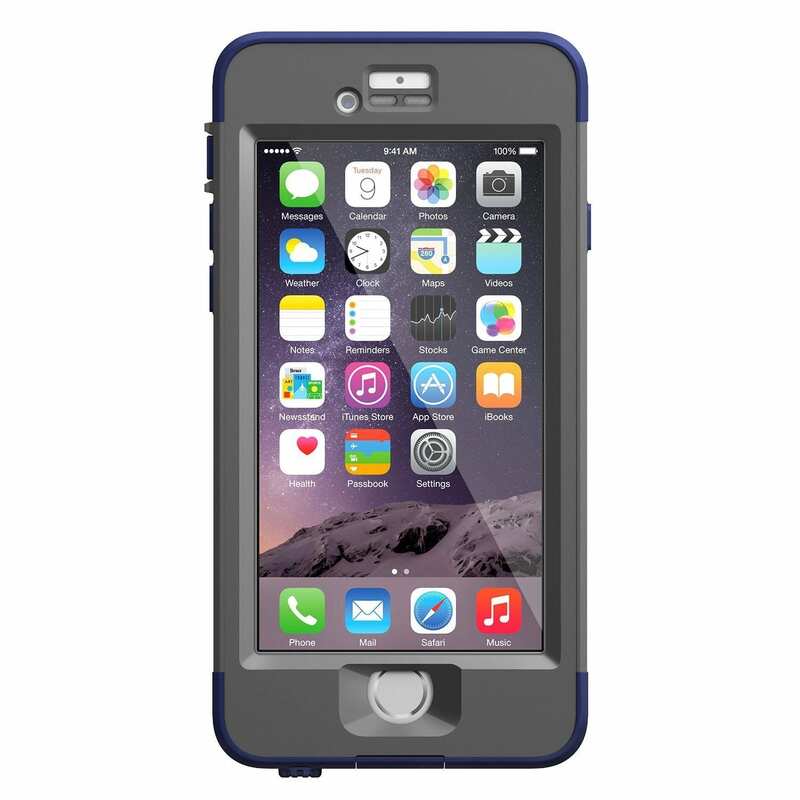 LifeProof also has excellent customer service and they will often replace your case for free if something goes wrong. It’s a good idea to pick up a three-pack of headphone adapters ($6.99) because it only comes with one, but these days I think it’s an even better idea to use wireless earbuds like my beloved Taotronics. I have not needed to use this yet, but I’m glad it’s there. 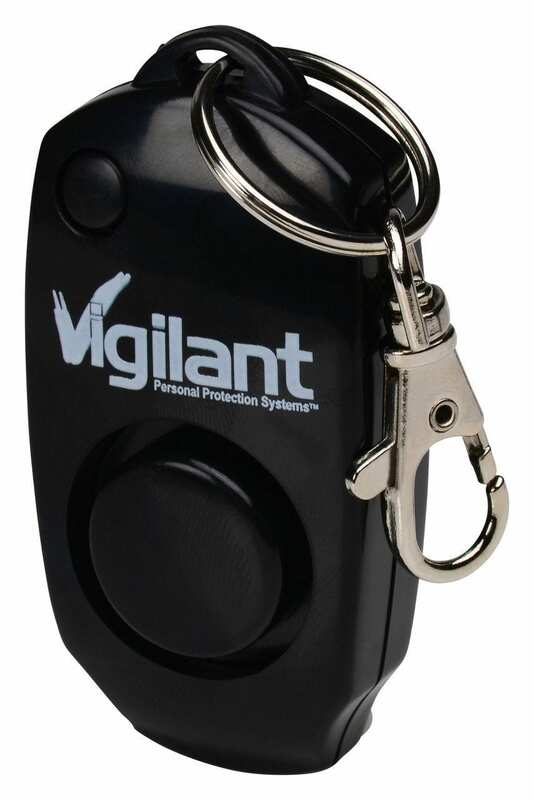 Using a personal alarm has the same use as a whistle: it attracts attention when you need it. Maybe it’s when you’re lost or stranded; maybe it’s when you’re threatened by another person. Maybe a stray dog is scaring you. Either way, there is no way this alarm won’t get you attention. I always like having an extra layer of security by having a hard-to-slash camera strap, and PacSafe makes the best safety products. 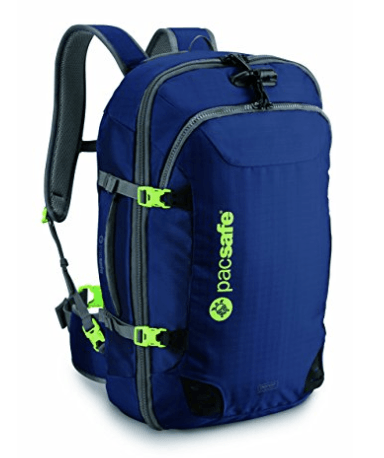 The PacSafe CarrySafe 200 is padded, comfortable, and lined with mesh, which keeps it from being slashable. When traveling with a wallet, I always bring one that is RFID-blocking to protect against thieves. Your credit cards can be scanned remotely through your wallet, but RFID-blocking fabrics prevent this from being able to be done. I suspect that my credit cards were scanned in Portugal back in 2012 and traveling without them was a nightmare, so I truly hope it never happens to me again — or any of you! 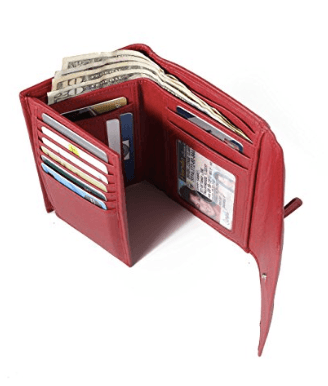 I hate most “women’s wallets” and it took a while to find one I like: this one is sleek, it’s made of leather, it comes in lots of colors, and it folds up small. 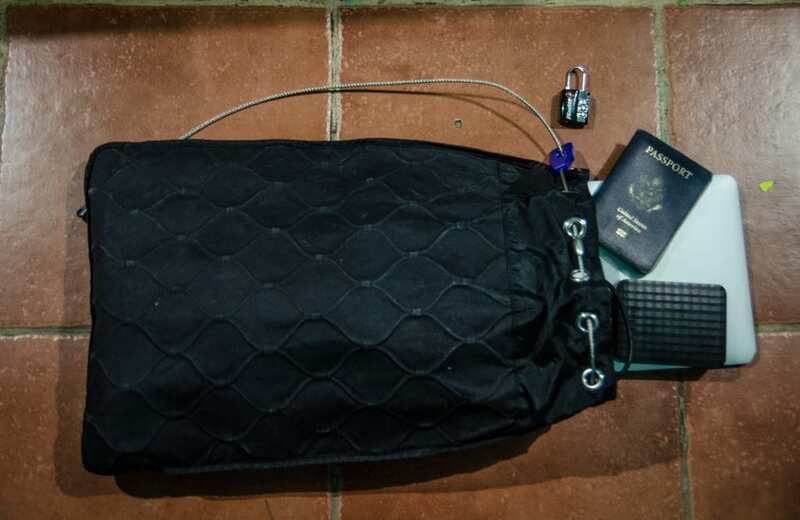 Before I went to Central America in 2015, I was concerned about theft and knew I needed to get a day bag that locked. My day bag is what holds my photography gear, tech gear, and valuables, and it always stays with me, unless I’ve got the valuables locked up in my portable safe at home. This is my bag and it’s perfect: it has a laptop slot (easily fits a 13″ MacBook Pro), room for three lenses, and everything is lockable. All that and it fits underneath the seat in front of me when I fly. That said, some people might prefer a larger bag, especially if you’re carrying several lenses (the giant lens I rented for safari was pushing it). You can find a slightly larger model here ($83.96). This gift could save your life or your financial future. I use and recommend World Nomads, and never go on a trip without it. Cost: Find out a quote here. Note what is not on this list: a money belt. I don’t use one and have no desire to. They’re uncomfortable and thieves are well aware that they exist. 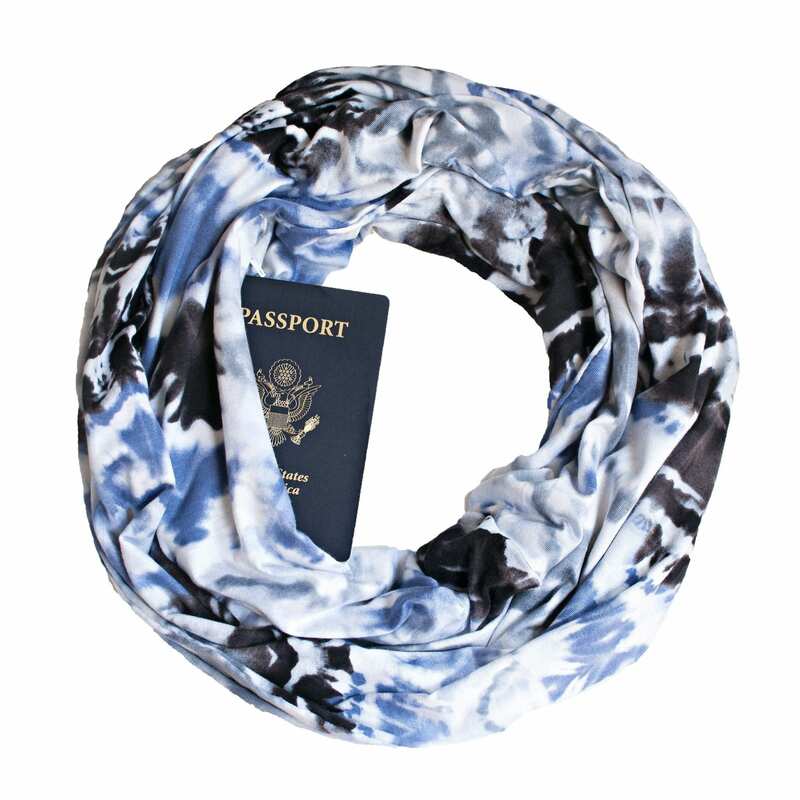 Get a Speakeasy Travel Supply scarf instead — they’re comfier, more practical, and much prettier. 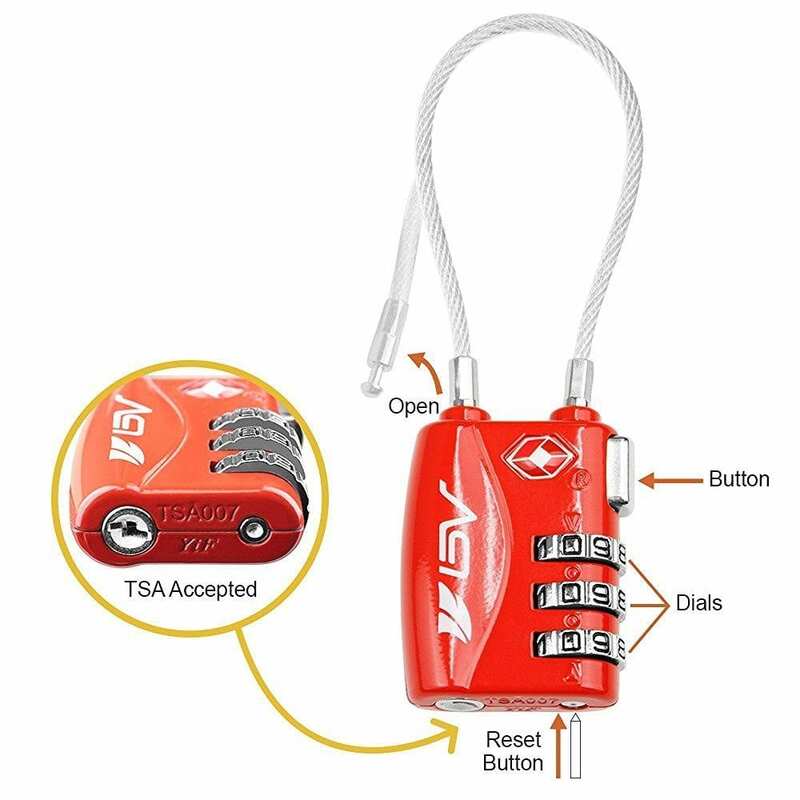 If you want to get someone a gift that he or she will use every day while traveling, here are some great options! If there is one item that people should travel with but they don’t, it’s a portable charger. I know this because people are always asking me to borrow mine, even my full-time traveler friends! 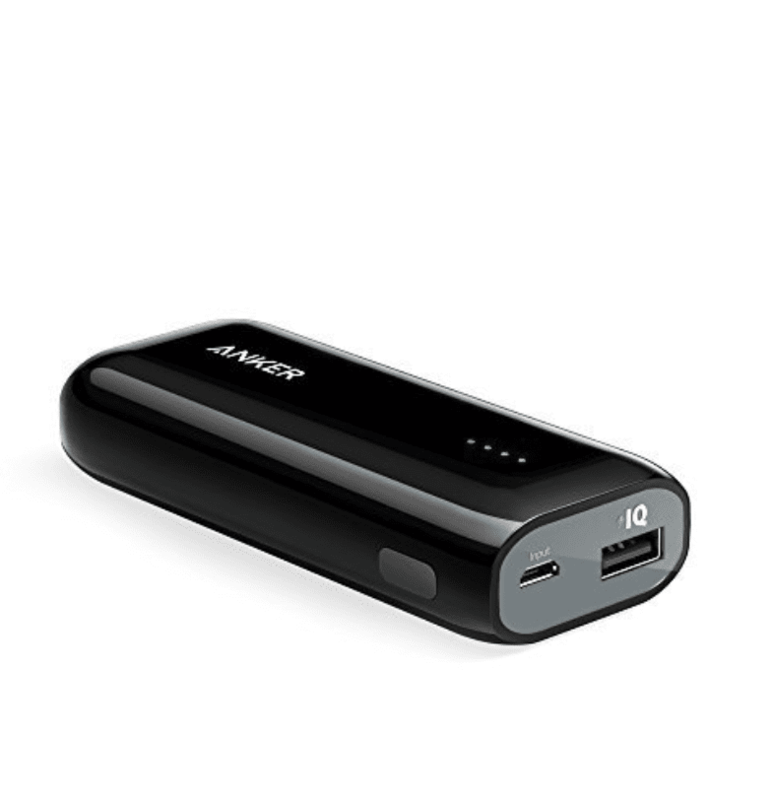 I recommend traveling with two portable chargers: a large one that is perfect for long flights, long days out, or days when you’re away from electricity; and a small one, which I throw in my purse for a night out (and mentioned above). I had to upgrade when I left my last portable charger in an Airbnb last summer and this one is just as much of a Monster as its name claims. You can charge an iPhone SEVEN times with this thing! If you’re a regular reader, you know that I devour about one book per week. The truth? The only reason why I’m able to read this much is because I have a Kindle. I take it everywhere with me. Having a Kindle reignited my love of reading, which had faded off in years. It’s rare that you can credit an inanimate object to making you a better person, but every book I read makes me a better person. 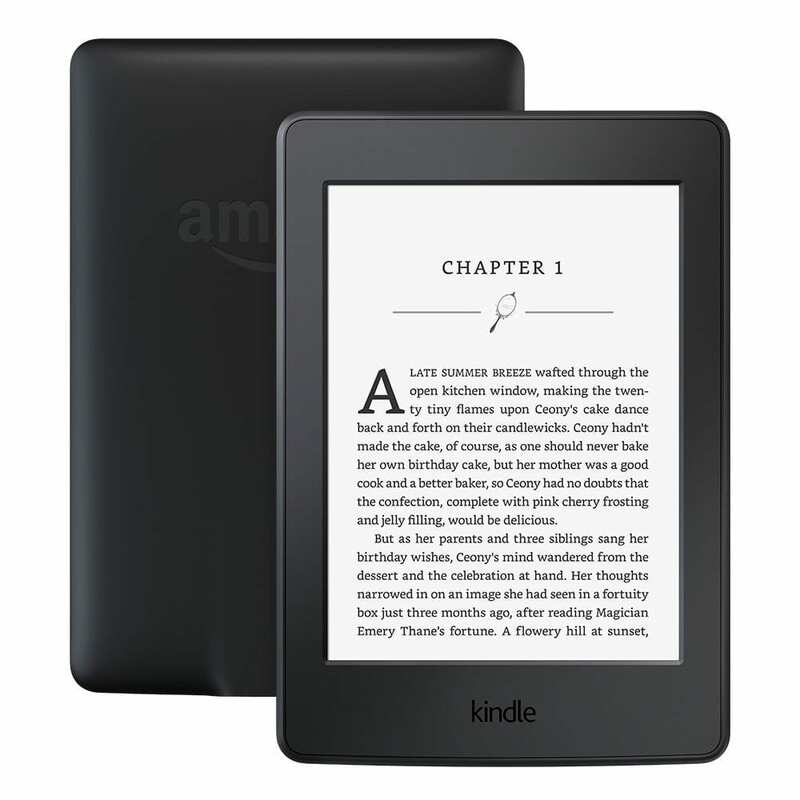 I’ve used multiple Kindles, but the Paperwhite is a million times better than the basic — it has a touchscreen, it’s illuminated from within (perfect for reading in a hostel bed or while your partner is sleeping), and it feels amazing in your hands. Ladies, if you haven’t made the switch to a menstrual cup yet, now is the time. It’s better for your wallet, better for the environment, gives you more space in your luggage, and it saves you from the hassle of trying to find tampons in Sri Lanka (which is…not easy). Don’t be intimidated — it’s actually a lot easier to use than most people think. It just takes a few practice tries and you’re golden. See my full review here for more information. Rather than buying cheap umbrellas that break apart in the first storm, invest in a small, quality umbrella and you’ll be a million times happier. 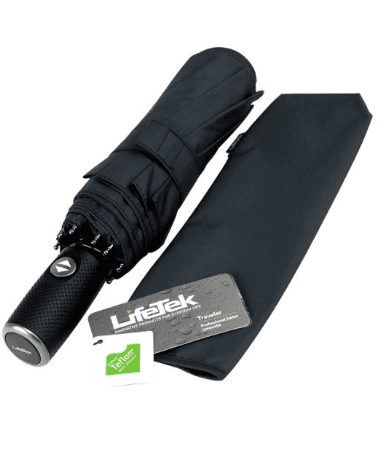 LifeTek makes awesome, wind-resistant umbrellas that fold up tiny and have a two-year replacement guarantee. 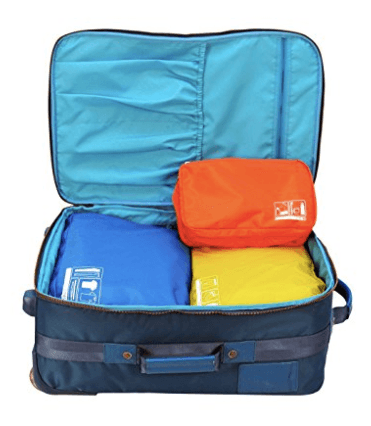 Packing cubes make packing a million times easier. You throw your clothes in there and then pack the cubes themselves. There are a lot of brands out there, but I happen to love Flight 001’s Spacepaks because they’re high quality, incredibly durable, and you can unzip the other side and fill them with your dirty laundry! I personally use just two of them: the blue clothes bag and the lavender lingerie bag. I didn’t travel with a pillow until last year — and I don’t know why I waited so long. It was nothing short of life-changing. Suddenly sleeping on planes became possible. This is another case where you get what you pay for — no matter what, a travel pillow should be about strong neck support more than anything else. 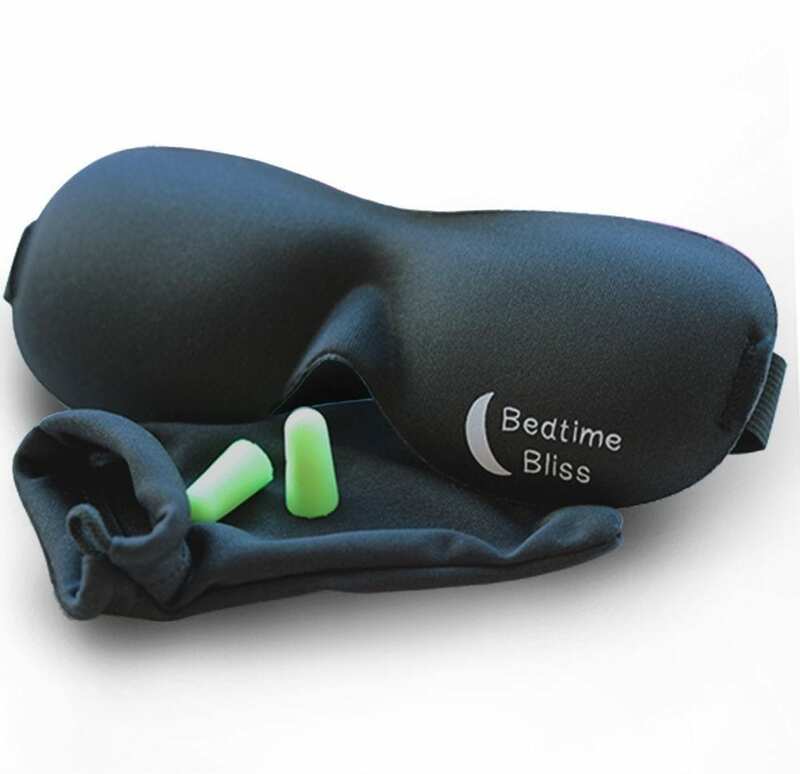 This model from I’celus Comfort is ergonomic, made of memory foam, and comes with a free sleep mask as well. I didn’t realize how useful a portable speaker was until I saw my friend bring one out and realized how much fun our trip became. They are the best for playing music while sitting around a pool with friends (this brings me back to lazy pool afternoons at Papaya Lodge in El Tunco, El Salvador!). They’re also good for impromptu dance parties, picnics or outdoor gatherings, or even just listening to podcasts while doing your makeup in your apartment. 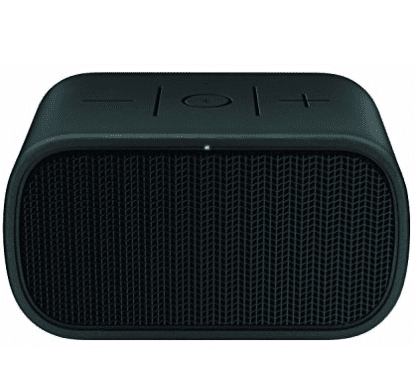 My UE Mini Boom is Bluetooth-enabled, the battery lasts for so long, and it’s durable as hell. When traveling, you should back up your photos in two places: online and on an external hard drive. And because slow upload speeds can be an issue while traveling, it makes it all the more important to use a high quality external hard drive. 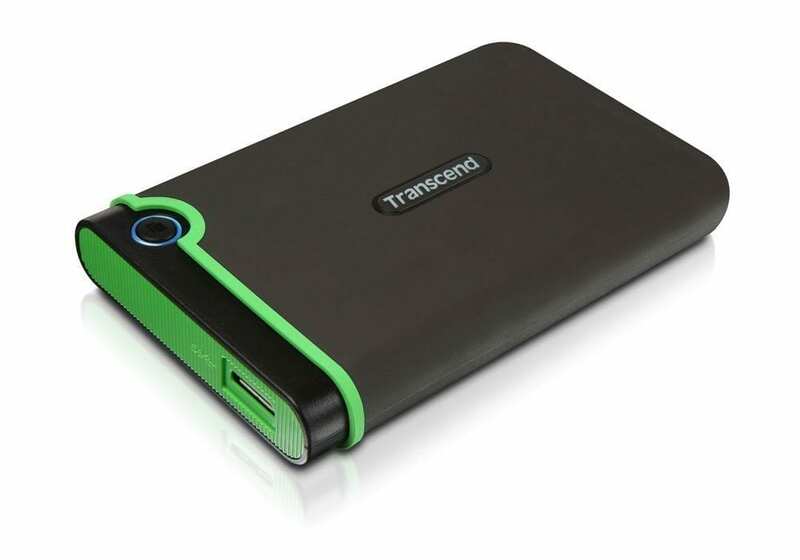 The Transcend 2 TB StoreJet drive has 2 TB of storage and claims to be military drop-tested. I wouldn’t go for a swim with it, but it’s badass all the same. A good piece of luggage is worth its weight in gold. Luggage can be expensive, but if you have someone special in your life and can afford to spend a larger chunk of change, luggage gifts are very appreciated. For that reason, I thought I’d share with you the three bags I’ve been using lately. One thing to keep in mind — a backpack should be measured to a person for the best fit. 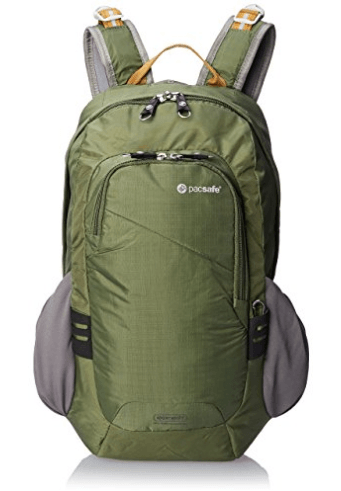 If you buy a backpack for someone, make sure it’s returnable in case it isn’t a good fit. Secondly, I recommend not buying bags in black if you can help it (even though I wear all black, all the time). I’ve got a few black bags and it drives me crazy trying to pick it out of a carousel full of black bags. See the review at the top of this post. I love this bag. 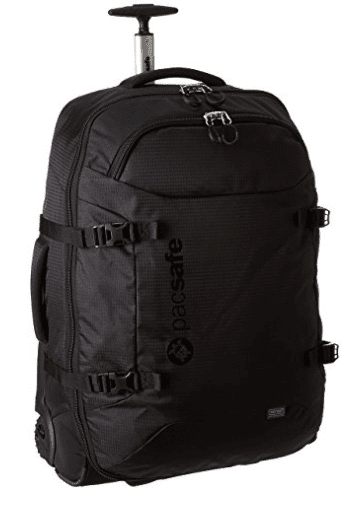 Once again, Pacsafe makes the best safety-conscious travel products, and I love my VentureSafe when I choose to use a backpack. I prefer to use backpack in less-developed regions like Central America and Southeast Asia because dragging a rolling suitcase over broken pavement gets old very quickly. My favorite thing about this backpack is that every compartment locks onto the same bar, which you can lock onto another object. That’s the ideal way to protect your luggage on an overnight train. Take it from me — travelers like to carry as little stuff as possible. Digital gifts allow you to give a gift without taking up any luggage space. If your recipient has a Kindle, a book makes an awesome gift. And if not, Kindle books can be read on a smartphone as well! There are three travel books that I want to bring your attention to this year: two published by my friends in 2017 and one that inspired my trip to my favorite destination of 2017. The Worrier’s Guide to the End of the World by Torre DeRoche — A sweet memoir and a study of traveling for healing, through heartbreak, grief, and anxiety, my friend Torre decided to walk her way across Italy and India on pilgrimages. This book inspired me to do a pilgrimage of my own someday! Lagom: The Swedish Secret of Living Well by Lola A. Åkerström — Do the Swedes do everything better than we do? After reading my friend Lola’s book, you’ll think so! Lagom is the Swedish ethos of “not too little, not too much” and this book lays out how the Swedes choose to live in blissful moderation. Moonlight in Odessa by Janet Skeslien Charles — A novel depicting Odessa, Ukraine, in the 1990s, as everything was controlled by the Mafia and the only way out was to become a mail-order bride. This book was the reason why I went to Odessa this year and I fell in love with the city. Out of print but you can buy it for Kindle. 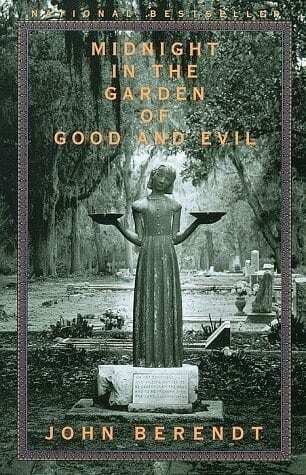 Midnight in the Garden of Good and Evil by John Berendt — Perhaps the best book about a destination I’ve ever read, this nonfiction novel is about the weird and twisted city of Savannah and its many characters. The Ridiculous Race by Steve Hely and Vali Chandrasekaran — Two comedy writers (who went on to write for 30 Rock!) race around the world without airplanes. Definitely the funniest travel book I’ve ever read. Bringing Up Bebe by Pamela Druckerman — The French raise their children differently. This American expat living in Paris tries to figure out what makes French parenting so different. Absolutely fascinating. The Sun Also Rises by Ernest Hemingway — My favorite book of all time. A novel about the Lost Generation of the 1930s drinking and wiling their days away in Paris and Pamplona. Wild by Cheryl Strayed — A woman struggling with a divorce and addiction decides to hike the Pacific Crest Trail, alone, with absolutely no preparation. Into Thin Air by John Krakauer — The riveting account of the 1996 expedition to Mount Everest that killed several people. Love With a Chance of Drowning by Torre DeRoche — Another memoir written by my friend Torre, who decided to sail across the South Pacific with her boyfriend despite a crushing fear of drowning. The Year of Living Danishly by Helen Russell — The Danes are often listed as the happiest people in the world. A British expat living in rural Denmark tries to figure out why. The Neapolitan Novels: My Brilliant Friend, The Story of a New Name, Those Who Leave and Those Who Stay, and The Story of the Lost Child, by Elena Ferrante — This is one of the most epic series I have ever read, and one of the best things about it is its depiction of a rough neighborhood in Naples, Italy. Without You, There Is No Us by Suki Kim — A fascinating and heartbreaking account of an undercover Korean-American journalist posing as a teacher at a university in Pyongyang. Euphoria by Lily King — One of the best romances I’ve ever read, based on the life of Margaret Mead and taking place in Papua New Guinea. Good journalism will only exist if it’s funded, and the traveler in your life will appreciate being kept in the loop on what’s going on at home. For newspapers, check out the New York Times (I love it because it has the best comment management on the web) and the Washington Post (which broke a ton of big stories in the 2016 election). Keep in mind that the Washington Post is free for several months to Amazon Prime subscribers, then cheap thereafter. For magazines, check out Vanity Fair, The New Yorker, The Atlantic, and The Economist. These are all web services that can help travelers. 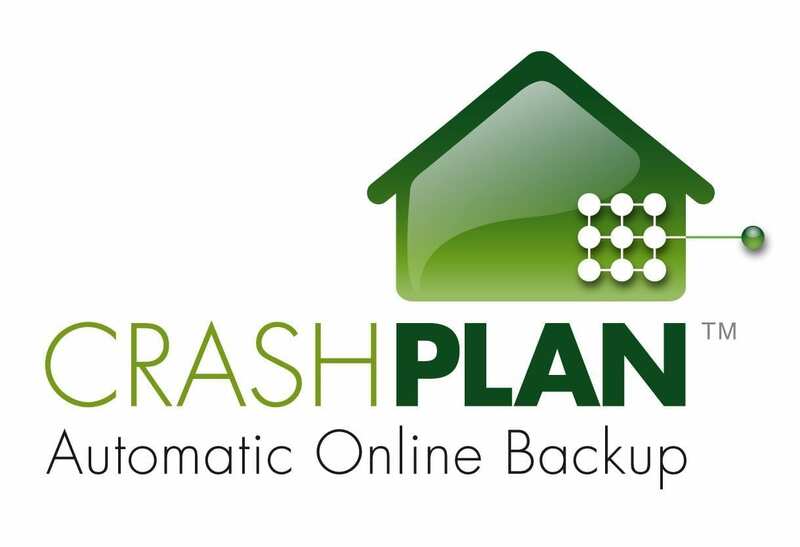 Crashplan is a system for backing up your computer and external hard drives to the cloud. It works automatically in the background. If your computer is stolen, you can virtually recreate your old computer on your new machine. From $10 per month. Dropbox is cloud storage. You get a small amount for free; Dropbox Pro gets you a lot more storage. From $9.99 per month or $99 per year. SmugMug is backup photo storage and you can also use it to sell your photography. From $5 per month or $36 per year. Private Internet Access is a VPN service, meaning a place that lets you mask your location when using the internet. Not only does it protect your safety (and you should when doing things like banking online), but it allows you to access sites like Netflix and Hulu when outside the US. From $6.95 per month or $39.95 per year. Adobe’s Creative Cloud gives you access to programs like Lightroom and Photoshop, which most amateurs and pros use to edit your photos. There are lots of plans, but the basic should be what most people need. From $9.99 per month. Gift cards to Spotify, iTunes, or Apple Music. Extra music is always appreciated. Find one which one your gift recipient prefers first — I’m definitely a Spotify girl. I swear those algorithms know me better than I know myself. Maybe you know a traveler who has come home after a long-term trip away. Maybe you know a traveler who balances her home life with travel. Even if you have a home somewhere, it’s nice to bring your love of travel into your cozy home. If you have a photo from your trip you’d like to display, Framebridge does absolutely gorgeous framing. And the whole process is easy — you put in your info, find a frame and mat you like (they can also choose for you), they send you either a tube or a flat mailer to send the print in (unless it’s a digital photo you send), and they frame it and send it back complete with the mounting supplies and instructions. It’s definitely on the pricey end, but your best photos deserve to be framed beautifully, not in a cheap generic frame. And it doesn’t necessarily have to be a photo. I’ve got a map framed by Framebridge in every room of my apartment! A Harlem map in the living room, an antique Northern Italy map in the bedroom, and a Bangkok map in the bathroom. Next up: a hand-drawn Savannah coffeeshop map in the kitchen. Cost: Framing from $59. Get $20 off your first order with this link. It’s nice to have something you can only enjoy while at home. For me, it’s the Ugg Ainslay Women’s Suede Slippers. They are completely impractical for the road but one of my favorite indulgences whenever I come home from a long trip. Mine are in bright purple (to the surprise of absolutely no one); they also come in several different colors! A lot of my foodie friends miss having a decent place to cook when they travel. Even if you book a rental rather than a hotel, chances are the knives are terrible. Let your friends revel in their cooking with these books. If they love Thai food: Pailin Chongchitnant’s Hot Thai Kitchen is one of the best and most comprehensive. 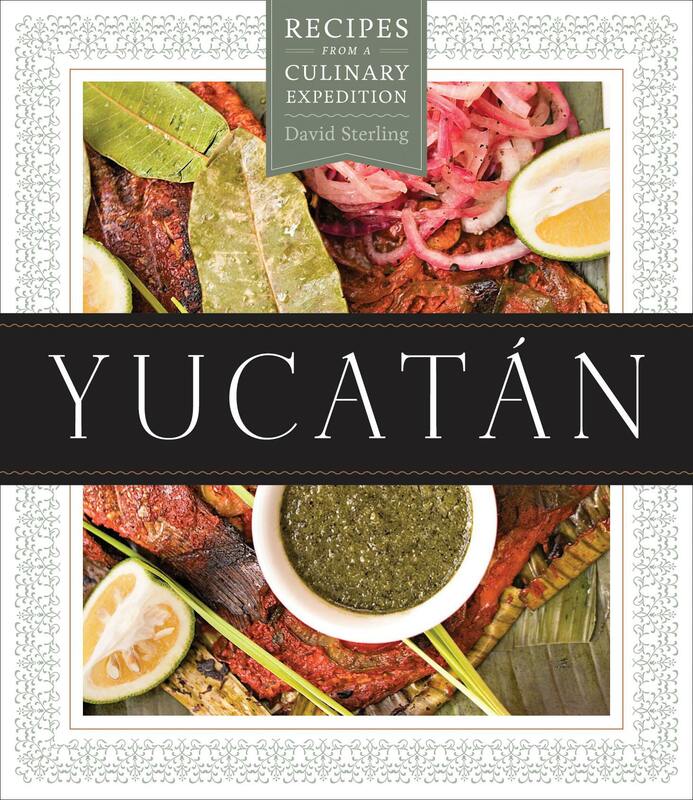 If they love Mexican food: David Sterling’s Yucatán: Recipes from a Culinary Expedition got a lot of praise. If they love New York or the South: Marcus Samuelsson’s The Red Rooster Cookbook. Red Rooster is the restaurant that convinced me to move to Harlem! If they love unusual or emerging cuisines: Naomi Duguid’s Taste of Persia, Fran Osseo-Asare and Barbara Baeta’s The Ghana Cookbook, Gunnar Karl Gíslason’s North: The New Nordic Cuisine of Iceland, and Gastón Acurio’s Peru: The Cookbook are all splendid choices. I also want to throw in a shout-out to Chrissy Teigan’s Cravings — seriously, everything in this cookbook is amazing. Her jok moo (Thai pork rice porridge) is rhapsodic, and her Thai pork-stuffed cucumber soup is as healthy and yummy as it is hilarious. 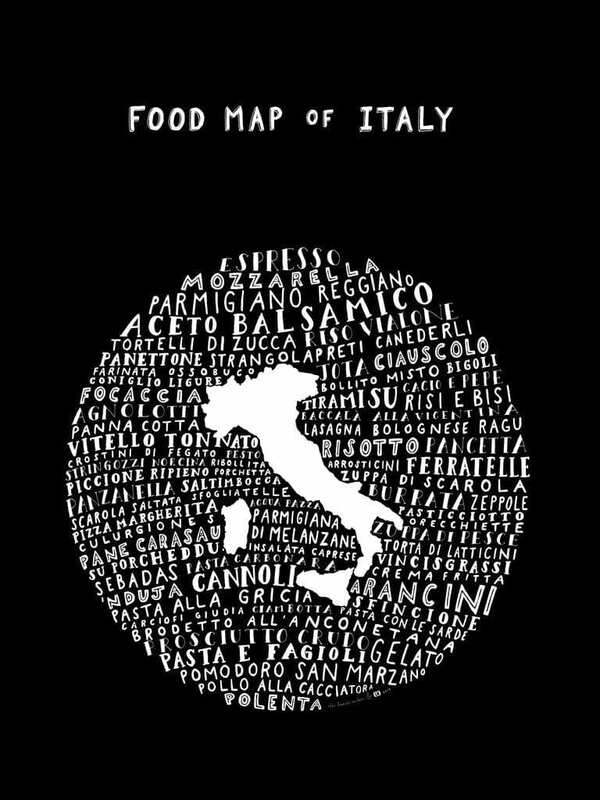 My friend Jodi who created the gluten-free travel cards has also created beautiful maps featuring food from Italy, Thailand, Vietnam, Mexico, Japan, and Portugal. They are perfect to have in your kitchen as prints; you can also get them on tote bags and t-shirts. Jodi has been severely ill for the last few months and unable to work, so if you’re looking to buy a beautiful gift while also supporting someone who could use a helping hand, the Legal Nomads shop is a great place to spend your money. Cost: Prints from $18 on Legal Nomads. Totes from $30, t-shirts from $24.99. You know what makes a short trip even better? Having a fabulous new dress to rock! This is especially good for bachelorettes, girls’ trips, and destination weddings. Why buy a new dress that you’re only going to wear once when you can rent a designer dress for much cheaper? Rent the Runway is now also offering unlimited memberships for regular clothes that you can borrow and send back whenever you’d like. 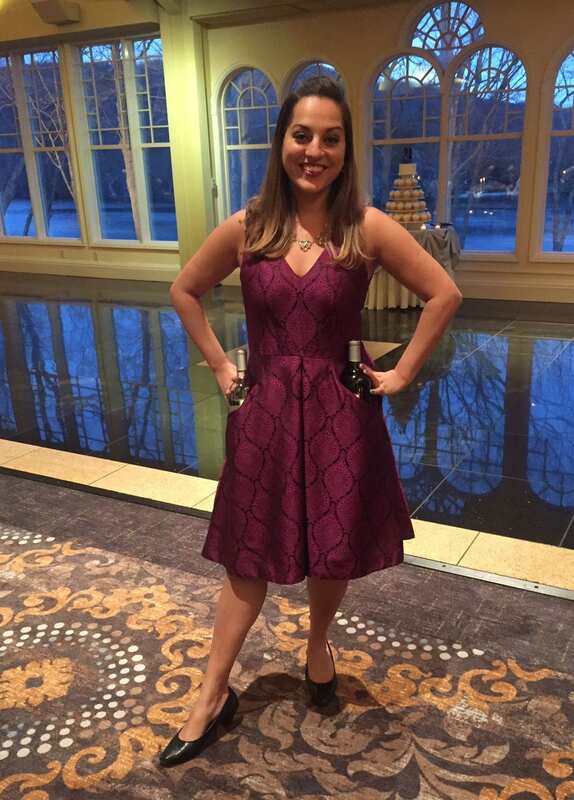 I rented that dress above, along with earrings and a matching necklace, for an out-of-state wedding (what’s up, wine pockets?? ), and I’m looking forward to renting two sparkly dresses for my upcoming Vegas trip! Cost: Dresses from around $30, jewelry from around $5, unlimited from $59. Get $30 off your first rental with this link. 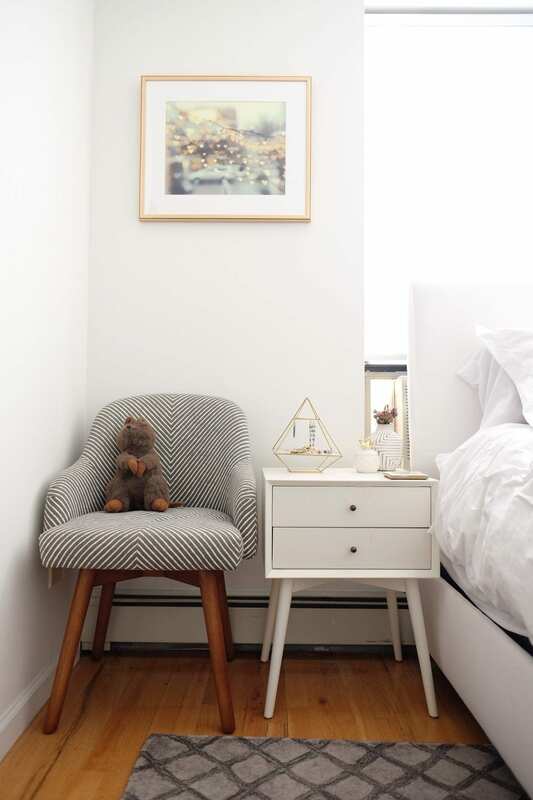 Coffee table books really pull a room together and give you a chance to show your personality. And because coffee table books are on display, this is one case where you should judge a book by its cover. This year my friends Mike and Anne Howard published Ultimate Journeys for Two: Extraordinary Destinations on Every Continent. It makes a great coffee table book but it’s also chock full of information on unusual travel destinations, many of which I hadn’t heard of (and for me to say that, that’s a BIG deal). It’s great even if you’re not part of a couple. 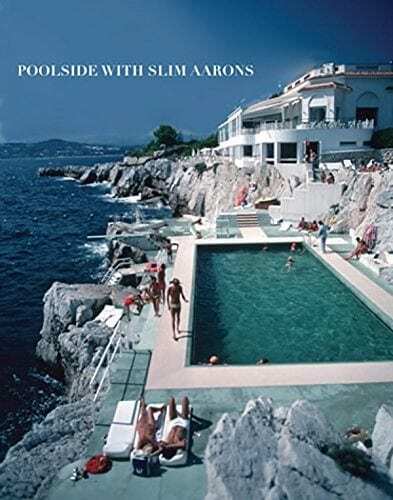 Some other coffee table books I recommend are Eighty Four Rooms (gorgeous boutique hotels), Poolside with Slim Aarons (or anything Slim Aarons — amazing luxury travel photography from the 1950s-1970s), NY Through the Lens (beautiful New York photography), Living in Style: Scandinavia (Nordic design), Havana, the New York Times’ 36 Hours In US and Canada or New York Times’ 36 Hours in Europe, and Steve McCurry: The Unguarded Moment. Some of these links are affiliate links. Some are not. If you click through on an affiliate link, I’ll get a commission at no extra cost to you. Thanks for helping reduce this site’s ever-increasing monthly expenses! 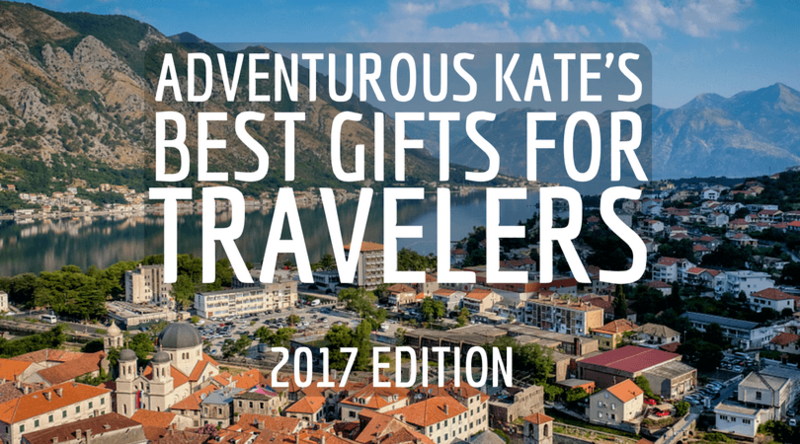 The post The Best Gifts for Travelers: 2017 Edition appeared first on Adventurous Kate.